Welcome - you’ve come to the right place. We are a traditional English family run tearoom in Stow-on-the-Wold serving local, fresh, quality food. Specialities include home baked cream teas, delicious cakes, homemade soups and freshly prepared light lunches. We’re renowned for our Cotswolds Cream Teas but we have so much more to offer a delicious range of freshly baked cakes and world class tea and coffee. We have tirelessly tasted everything (multiple times) to ensure we bring our customers only the best! We offer a fantastic range of hot and cold lunches all day at Lucy’s including a range Sandwiches and toasties, soups, platters, jacket potatoes and our sensational full English Breakfasts (served all day). Local, responsibly sourced and taste tested! At Lucys, re provide an unrivaled afternoon tea - three different types in-fact. 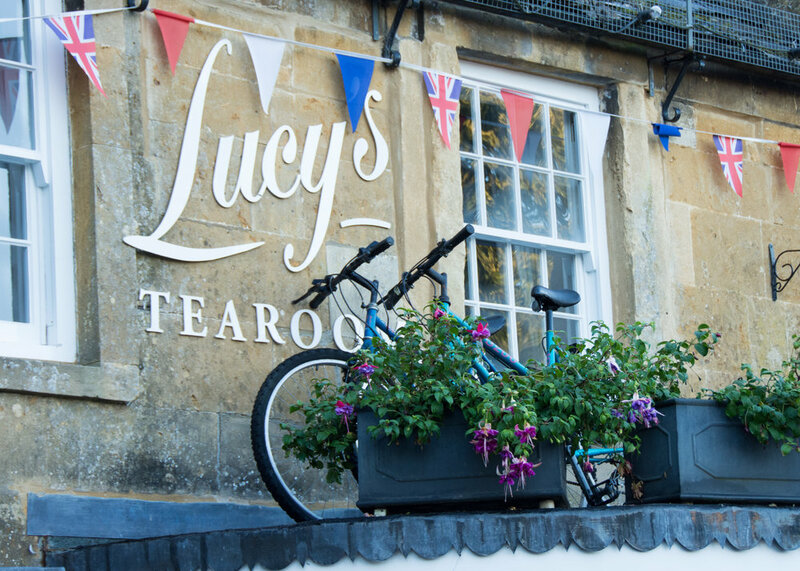 Choose from Lucys Cream Tea, the Cotswolds Cream Tea or our favourite - the Stow Special Afternoon Tea, which includes sandwitches, homemade scone with clotted cream/jam and a slice cake of your choice from our days cake selection.